TJ Formal Dress Blog: Customer Photo Contest - Be a Show-Off! Would you like $200 towards your next dress purchase? 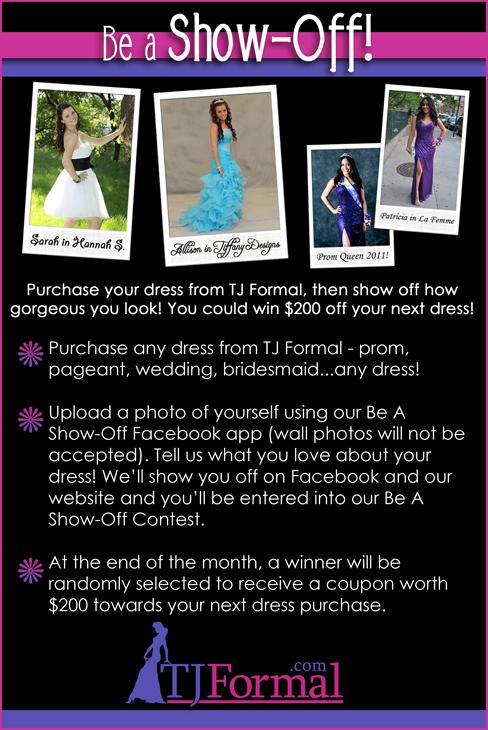 Simply send us a photo of yourself in your TJ Formal dress via our Be A Show-off! Facebook app and you'll be entered for a random drawing at the end of the month! We want to hear from you!